Some bands have a hard time doing things wrong. While most artists will alternate great albums with mediocre to dire ones on occasion, there are a few bands who manage to keep a certain momentum. 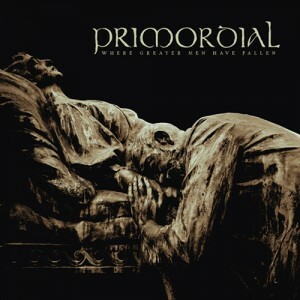 Ireland’s Primordial is such a band, and Where Greater Man Have Fallen is another great album in a truly impressive and ever-expanding catalogue.